Are Streaming Music Services Like Spotify Cheating Musicians? Shopping during the holidays can be an absolute nightmare. Picking out gifts for the teenager who has everything or for the dad who only likes knitted pairs of socks is a struggle on its own, but when you do find the perfect gift, there will often be a mad dash to the checkout to buy it before it sells out. This only becomes more difficult as retailers use the weeks between Thanksgiving and Christmas to price their wares aggressively. The period is known for its plethora of deals, but how can you take advantage of these bumper discounts if you can’t even keep track of them? 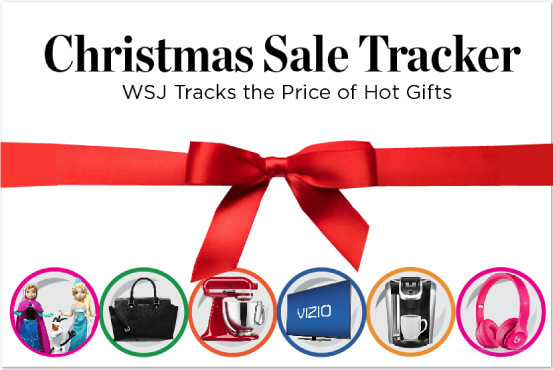 That’s where the Wall Street Journal’s Christmas Sales Tracker comes in. It uses actual retail information and statistics to track what’s hot and what’s going cheap, ensuring that you won’t miss a brilliant holiday deal again. 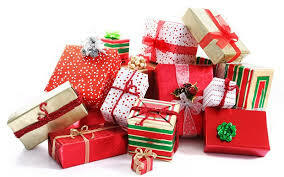 The data that fuels the Christmas Sales Tracker comes from Adobe Systems Inc. (the same people behind Photoshop) and since 2008 they have gathered data of one trillion visits to 4,500 retail websites to figure out when the hottest holiday deals days are (Christmas Day and the week of Thanksgiving) denoting when is best for shoppers. Meanwhile, the listed products on the tracker have been determined by social data, gleaned from places like Google and Twitter. That’s why the tracker has so few holiday deals, which isn’t necessarily a bad thing as it does it incredibly comprehensively. Just a few of the products listed include a Vizio E-Series 55-inch TV, a Jawbone Up24 wristband, and a Disney “Frozen” Doll Story set which are statistically some of the most wanted things on people’s wishlists this year. Not only that, but it features the dates of the deals. As mentioned, prices change all the time depending on how close we are to the holiday itself and so with the dated graph you can figure out whether things are on an upwards (or downwards) trend, and when’s the best time to strike and get the best deal. According to data, retailers changed the prices of some products up to 20 times alone in the month of October, which is nigh on insane but it does make that dated feature all the more useful. As for the slim pickings on WSJ’s tracker, the website camelcamelcamel is also a good one to bookmark for good holiday deals. It works with products you’ve found on Amazon and not only does it chart price history, but it also issues price drop alerts too. Granted, you do have to put in some legwork and keep visiting the site for info but it’s a handy tool to use ahead of the massive shopping rush.